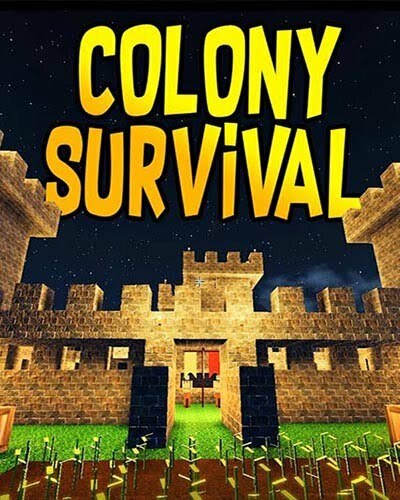 Colony Survival is an Action, Open World and Strategy game for PC published by Pipliz in 2017. Your people need a great leader! They can’t make a living without you. You’re the one who can help them survive in a furious world. So, Don’t miss the time and control the situation. Explore a world with realistically placed biomes in this strategy game. A giant jungle in the center of the world, surrounded by savannas, deserts and temperate biomes. Two polar regions in the far north and south. Build your own village, castle or city and populate it with colonists! Let guards, farmers, miners, foresters, bakers, smelters and artisans work for you. After the sun has set, most colonists will go to bed, but the enemy awakens. A horde of monsters will assault your colony and try to slaughter you and your villagers. Defend your colony with walls, moats and guards! Advanced pathfinding: colonists and zombies will find their way in the world you’ve build. They will dynamically navigate stairs, bridges and tunnels. Voice your suggestions and be part of the development of Colony Survival! 26 Comments ON " Colony Survival PC Game Free Download "
Thank you so much for uploading this game!!!!! could you download the end is nigh? I really want it plzzzzzzzz? is multi-player availible? if not will it be and what time? i just wonder i cant start the game beacuse i have to write the v\comands inn my self and i start a server and do the load thing and dont make it so is that free games dl shortcutt important?